The Khomani Cultural Landscape has recently been inscribed as the 9th of the country’s world heritage sites, and probably its most intriguing. This one of South Africa’s UNESCO world heritage sites has been a long time coming. 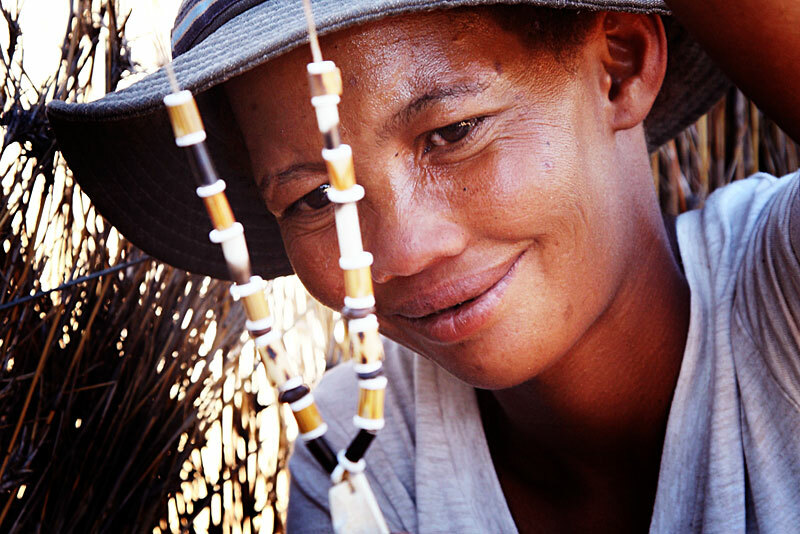 The Khomani San are one of the only groups of San still practising their traditional hunter-gatherer way of life, within the Kgalagadi Transfrontier Park. The San are the country’s aboriginal people with a distinct hunter-gatherer culture that dates back 20 000 years. There are those who believe that they are the oldest genetic stock of modern man, and that all humans descend from them. The Khomani San live in the southern Kalahari Desert right up against the border with Botswana and Namibia, a small group of people in a harsh climate. They are descendants of some of the original San groups in the country. Today most of them speak Khoekhoegowap and Afrikaans. Only 23 still speak the ancient N|u language, the last language of the!Ui language family – once spoken across the country by all hunter-gatherer people. 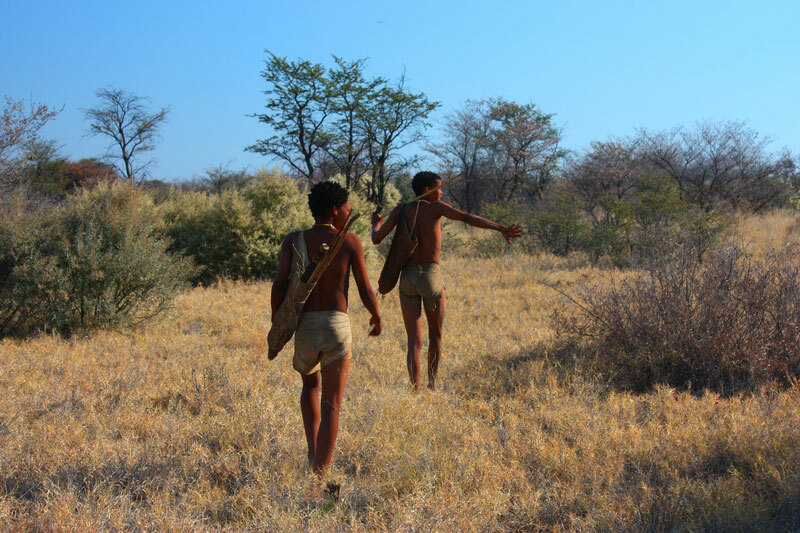 They may be called the Khomani San by scientists and researchers, but the people who live in this southern Kalahari region around Witdraai explain that this term refers to a particular clan, and that it does not really apply to them. Instead, they refer to themselves as ‘Saasi’ or in their language as ‘!Kabee’. 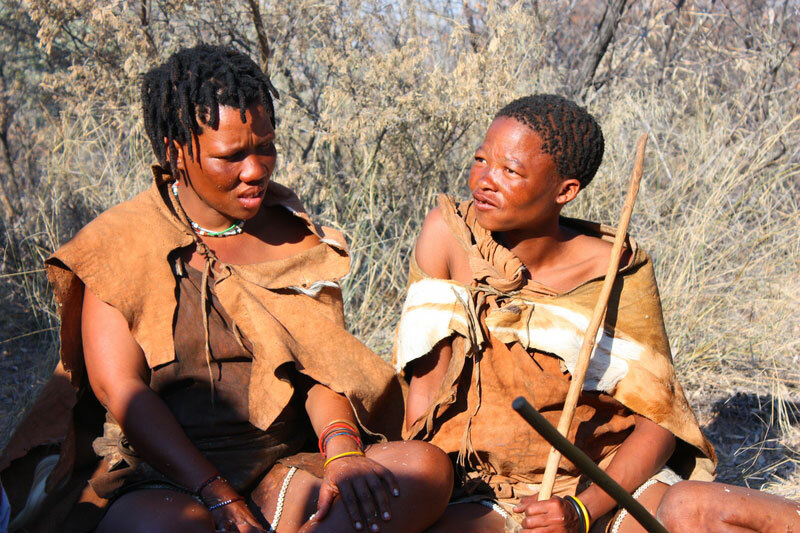 South Africa uses the term ‘San’ officially, as ‘Bushmen’ is considered a derogatory term. 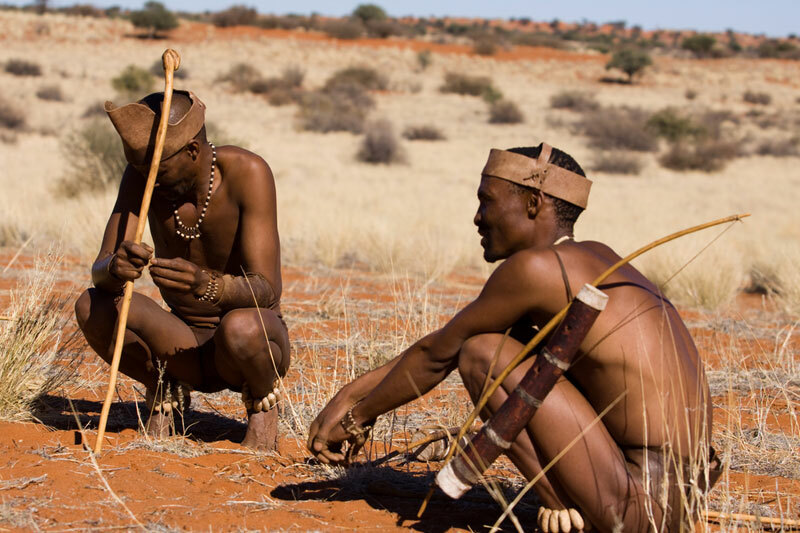 The Bushmen, or San, live a very different way to the Western lifestyle. They have very few personal belongings beyond the few animal skins they carry on their backs, their sticks and a few tools and utensils. They live in a completely egalitarian society. There is no chief, king or government. There are no taxes, and no complicated social system. Only related families who choose to live in small groups together, known as clans – a loosely knit community that, should a dispute arise, easily allows a person, or a family, to leave the group with good will. The Khomani San live in complete harmony with nature, taking only what can be replaced and only what they need. Once considered ‘backward’ behaviour, today their levels of sustainability and eco-friendly practices put most of modern society to shame. With remarkable endurance they are able to track animals for hours, catching their meat on the hoof with a poisoned arrow that necessitates being close to the animal to kill it. They are equally knowledgeable about the use of plants for medicine, the mimicking of animals and birds, and their music and dance is legendary. Now the Khomani Cultural Landscape – the newest of the UNESCO world heritage sites – protects the few hundred remaining San whose intimate knowledge of the land has been marginalised and left unrecognised for years. To enter the world of the Khomani San one must head to big sky country. The boundaries of the world heritage site are those of the Kalahari Gemsbok National Park, part of the huge Kgalagadi Transfrontier Park that straddles both South Africa and Botswana. 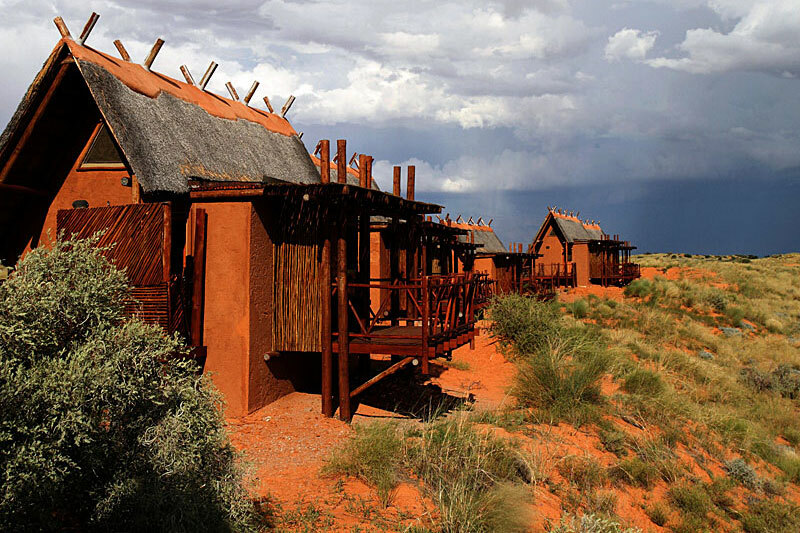 The Kgalagadi Transfrontier Park is a huge semi-desert wilderness in the north of the country – an immense stretch of red sand dunes and wide open sky. Through it run the dry river beds of the Nossob and Auob Rivers, said to flow only once every 100 years. Whilst there you can track with the Khomani San. South Africa’s 9 world heritage sites – How many have you visited? We’re curious to know if you have visited any one of the world heritage sites and which is your favourite?